Madonna booked to guess judge at RuPaul’s Drag Race Season 10? RuPaul Charles seemed to suggest that Madonna will be a guess judge at forthcoming RuPaul’s Drag Race Season 10. Interviewed.. 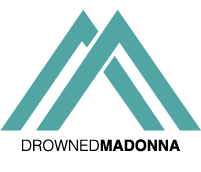 EXCLUSIVE – We at DrownedMadonna.com learn the reason why Madonna had a Top Secret meeting with Netflix, as we revealed..
Lady Gaga praises Madonna for her speech st the Billboard’ Women in Music Awards. Miss Germanotta tweets that Madonna’s speech.. Source: Blasting News. Lady gaga spoke again about Madonna, reigniting a feud that has been going on since 2012. Interviewed..
Lady Gaga appeared very irritated and rancorous during an interview with Zane Lowe on Beat 1, when he compared her..